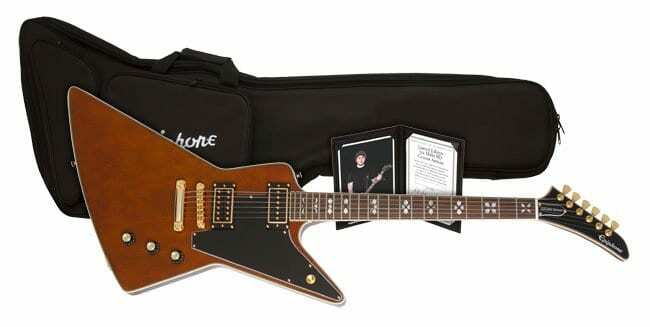 The new Epiphone Limited Edition Lee Malia Explorer Custom Artisan Outfit is the Bring Me The Horizon player’s new signature model – and it looks really nicely put together, with great specifications and looks that could kill. 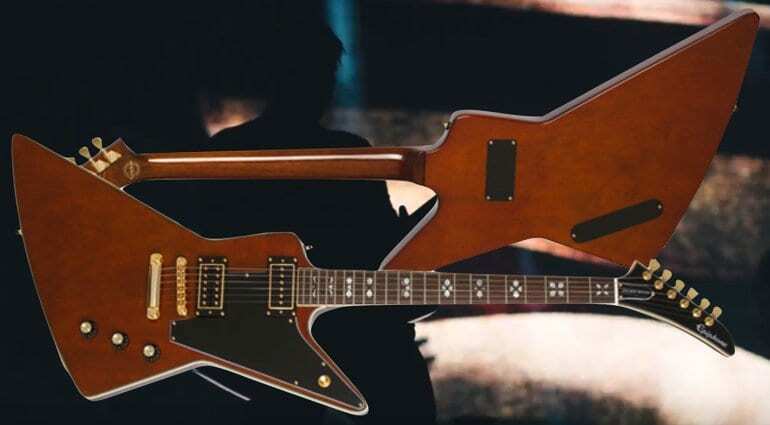 Lee Malia’s new Explorer looks fantastic to my eye and has some very classic lines and a cool finish, not too flash and no ridiculous bling. This is a modern take on a classic 1950s design. 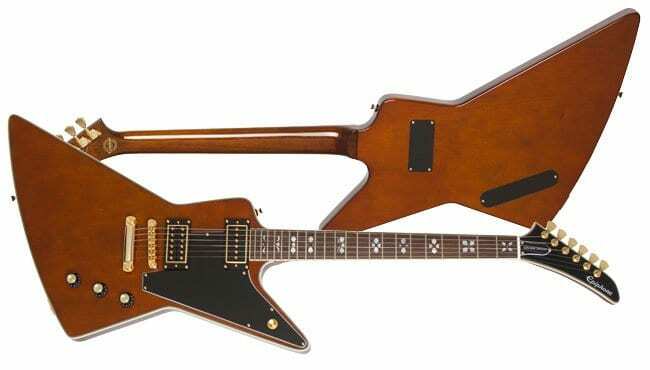 Specification-wise, it has a mahogany body with a maple top and a mahogany neck with a “1959” rounded C profile, making for a very traditional set-up with a bit of meat in that neck profile. 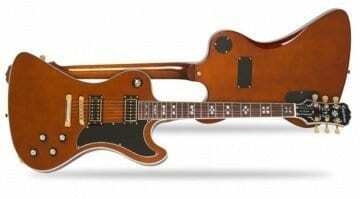 This guitar should play especially well if you like a larger neck (like I do). It is finished in a Walnut finish with Ivory and Black binding, and the overall look is understated, which I think it really suits the shape as well. The fingerboard material is provided by Torrefied Composite and so avoids any nasty run-ins with CITES regulations and has “Artisan” floral pattern fret markers made of pearloid. 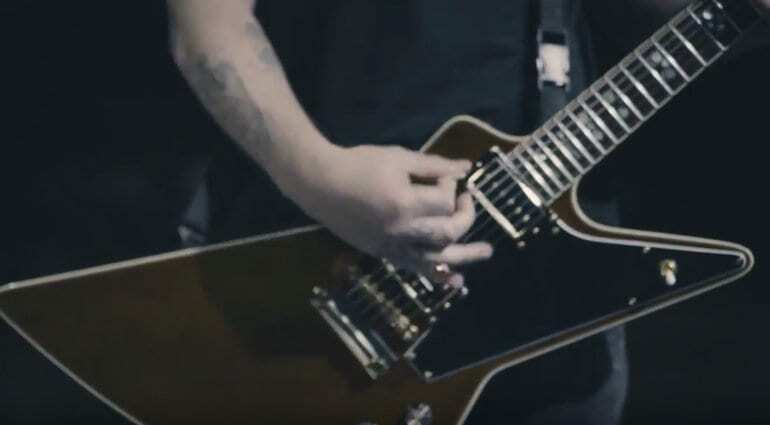 Lee Malia prefers to use a sensitive P-94 single coil pickup for his rhythm parts and a more powerful Gibson 84T-LM humbucker for his leads. The guitar is even fitted with a dummy single coil to help reduce the hum when just using that single P90 by itself as well. This technique works pretty well I have found, as I once had a similar setup in one of my Strats and it really helped with cutting down hum when playing live. In terms of controls, you get a 3-way switch and three traditional knobs that control neck volume, bridge volume, and master tone. They are also pretty traditional Top Hat style knobs, in keeping with the understated look and vintage vibe. The bridge volume knob also serves as a coil-spitting control via a push/pull switch so that the Gibson 84T-LM humbucker can be split to give you single coil tones as well. The guitar comes as standard with Epiphone strap locks, 14:1 ratio machine heads with tulip buttons and Epiphone’s heavy-duty non-rotating output jack system. 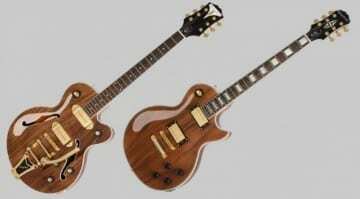 You also get their Locktone bridge and a standard tailpiece, so your tuning should be solid. 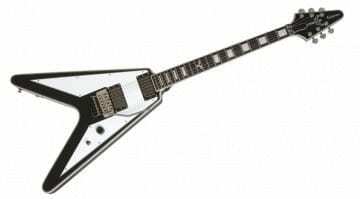 I have this bridge on my Epiphone Brent Hinds Flying V and it works a treat, so nice to have the same hardware here as well. 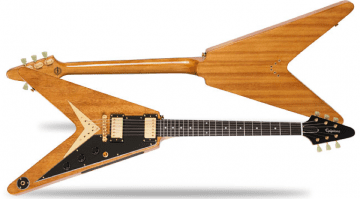 Epiphone Richie Faulkner Flying V Limited Edition: Über-cool?